software solutions for schools, colleges, and all types of businesses. 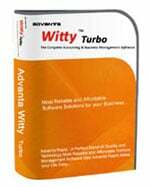 We are a leading software company providing affordable, reliable and user-friendly software solutions. We are specialized & experienced in school management software, college management system, business accounting software, business management ERP, inventory management software, invoice printing software, Attendance & payroll solutions and website design & development. Advanta provides a number of software products and services. However below are the three most popular products. Click on any product for more details. One of the most Reliable, Affordable & User-friendly college software with 28 modules, which helps you to best manage each and every department of your college. 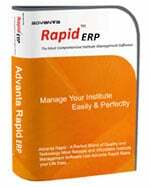 Advanta Rapid ERP bring all information to your fingertips to help you make quick decisions. Reliable, Affordable & User-friendly Business Accounting Software with inventory, invoice/bill printing, VAT, GST, Service Tax, e-TDS, e-Filing, Excise, Manufacturing/Production/Job-work Management, Purchase Orders & Quotations, Barcode Printing etc. Join us to get latest news and updates! We frequently share latest business news, best practices and cool tips & tricks. Join us on social media and subscribe to the newsletter.